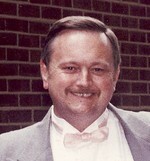 Ronald "Ronnie" David Murdock, 57, of Olin, N.C., passed away on Saturday, Dec. 19, 2009. He was born in Statesville, N.C., on Dec. 19, 1952, to Russell David and the late Kathleen Powers Murdock. Ronnie was a "people" person. He always tried to serve his fellow man. He was a volunteer fireman, a part-time deputy and an EMT with the rescue squads in all of the counties where he lived. He was a Mason and served as an officer in a number of benevolent organizations during his lifetime. He suffered the last six years of his life with multiple sclerosis but never complained about his plight. The effects took from him the life he knew but the complications eventually led to the freedom he desired. He will truly be missed. He was preceded in death by his loving wife, Peggy Bledsoe Murdock and a sister, Marsha Diane Murdock. The family will receive friends on Monday evening from 6 to 8 p.m. at Troutman Funeral Home. Simultaneously with the visitation, a memorial service will be held at the funeral home at 7 p.m. with the Rev. Matthew Miller officiating. Burial will be at 2 p.m. on Tuesday at the Pinecrest Memorial Park Mausoleum in Clayton. Memorials may be made to the National Multiple Sclerosis Society, 2211 West Meadowview Road, Suite 30, Greensboro, N.C. 27407 or the American Cancer Society, 6000 Fairview Road, Suite 200, Charlotte, N.C. 28210.